Recent studies suggest abnormal cannabinoid receptor type 2 (CB2) signalling in peripheral blood mononuclear cells (PBMCs) extracted from autistic children, implying the endocannabinoid system could be functionally involved in ASD-mediated immune impairments. Cannabinoid 1 receptors are present on neurons and microglial cells and additional research implicates these receptors in neuronal protection in a way which may represent a therapeutic target in ASDs. Research will be presented. Osteoarthritis (OA) of the knee affects over 12 percent of people over 60 years old. [i] It’s a degenerative disease that causes pain, swelling, abnormal bone growth and spurs, and loss of mobility. Cartilage becomes thin and irregular, resulting in joint pain and stiffness. More and more doctors offer surgery as the solution. Over 700,000 knee arthroscopies (a type of keyhole surgery) are carried out in the US and 150,000 in the UK each year on middle aged and older adults. But a new study finds surgery doesn’t help and may be harmful. Their results were published as part of The BMJ‘s “Too Much Medicine“ campaign. The campaign highlights the threat to human health and the waste of resources caused by unnecessary medical care. 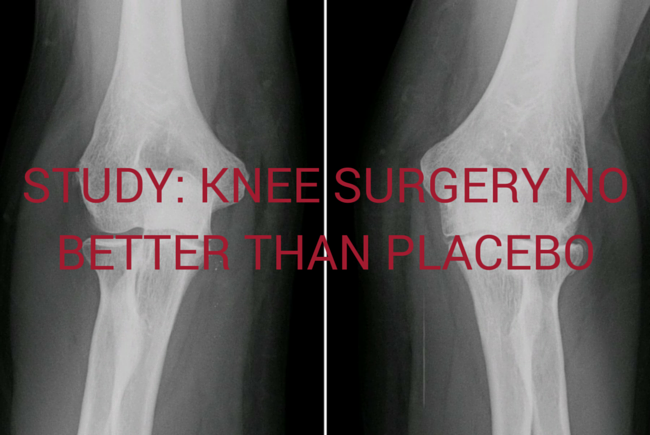 The researchers found that arthroscopy of the knee was no better than a placebo. It had a small but significant effect on pain at three and six months following an operation. But beyond that timeframe, it had no benefit over other treatments. And they found no significant benefit on physical function. On the other hand, knee surgery carried significant downsides. The most frequently reported adverse event was deep vein thrombosis (DVT), followed by infection, pulmonary embolism (blockage of the main artery of the lung), and death. 1. Practice Tai Chi. Tufts University researchers compared the effectiveness of tai chi and physical therapy for OA of the knee. [iii] A group of 106 patients with knee OA completed 12 weeks of classical Yang style tai chi twice a week. A second group of 98 patients completed physical therapy twice a week for six weeks followed by six weeks of monitored physical therapy exercises at home. Researchers measured changes in pain and functioning, depression, quality of life, and pain medication usage. Patients also assessed their own pain and functioning, and completed two-meter and six-minute walking tests. Tai chi participants were able to reduce their pain medications, and had improved pain and functioning, comparable to the physical therapy group. But in subjective reporting, tai chi participants also noted significant improvements both in pain and depression. 2. Eat More Turmeric. A study in the Indonesian Journal of Internal Medicine found the curcuminoid extract of turmeric reduced inflammation in patients suffering from knee OA. The researchers compared the curcuminoid extract to diclofenac sodium, an NSAID drug. Subjects took either 30 mg of curcuminoid three times daily or 25 mg of diclofenac sodium three times a day. After 4 weeks there was no significant difference between the turmeric compound and the drug. Both significantly decreased the secretion of the inflammatory COX-2 enzyme. But turmeric had no side effects while diclofenac has been linked to increased cardiac mortality, miscarriage and seizure. 3. Drink Tart Cherry Juice. According to researchers from Oregon Health & Science University, tart cherries have the “highest anti-inflammatory content of any food” and can help osteoarthritis patients manage their condition. [v] They asked 20 women aged 40 to 70 with inflammatory osteoarthritis to drink tart cherry juice twice a day. After three weeks, the women had significant reductions in inflammation. In a prior study, the same researchers found that runners who drank tart cherry juice reported significantly less pain after exercise. And a 2001 cell study found that anthocyanins from cherries were as effective as ibuprofen and naproxen at suppressing the COX enzymes associated with inflammation. Make sure you look for tart cherries (e.g., Montmorency and Balaton) and not sweet cherries (e.g., Bing, Lambert, Rainier), although both varieties have healing benefits. 5. Eat More Sesame Seeds. A study in Iran found that eating sesame seeds was superior to taking Tylenol for OA of the knee. [viii] One group of knee patients took 40 grams (about four tablespoons) of sesame seeds per day. A second group took 500 mg of Tylenol twice a day as well as 500 mg of glucosamine once a day. The sesame seeds were found to be just as effective as Tylenol and glucosamine for reducing the intensity of knee pain. And of course, sesame seeds don’t have the dangerous side effects of Tylenol. 6. Cook with Ginger. In a head to head match-up of ginger extract with the anti-inflammatory drug indomethacin, ginger proved to be just as good without side effects. [ix] Indomethacin has been linked to renal insufficiency, jaundice, headaches, and liver damage. Volunteers were randomly given either 200 mg or 400 mg per day. The lower dose reduced symptoms by 41% while the higher dose reduced them 59%. Bromelain also improved stiffness, physical function, and general well-being. 9. Use Comfrey Root Extract Ointment. Rubbing painful knees with an ointment of comfrey root extract has been shown to reduce pain, improve knee mobility, and increase quality of life. 10. Take Some Castor Oil. A randomized, double-blind, comparative clinical study found that castor oil was just as good as the drug diclofenac sodium in patients with knee osteoarthritis. [iii] American College of Rheumatology (ACR). “Tai Chi found to be as effective as physical therapy for knee osteoarthritis.” ScienceDaily. ScienceDaily, 7 November 2015. [v] Sleigh, AE, Kuehl KS, Elliot DL . Efficacy of tart cherry juice to reduce inflammation among patients with osteoarthritis. American College of Sports Medicine Annual Meeting. May 30, 2012. [viii] Bina Eftekhar Sadat, Mahdieh Khadem Haghighian, Beitollah Alipoor, Aida Malek Mahdavi, Mohammad Asghari Jafarabadi, Abdolvahab Moghaddam. Effects of sesame seed supplementation on clinical signs and symptoms in patients with knee osteoarthritis. Disclaimer: This article is not intended to provide medical advice, diagnosis or treatment. 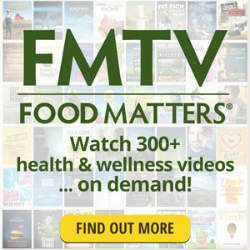 Views expressed here do not necessarily reflect those of GreenMedInfo, or its staff or HolisHealth.com . Studies have shown cannabis can help slow the production of beta-amyloid proteins, which are considered a key contributor to the progression of Alzheimer’s disease. Studies have shown cannabis effectively slows the progression of the disease and helps patients manage the disease’s associated symptoms. Studies have shown cannabis to be an effective treatment for some aspects of the disorder, and several states have approved medical cannabis as a treatment. Studies have shown cannabis can reduce autonomic arousal and subjective anxiety. Studies have shown cannabis can help curtail the pain, sleeping problems and spasms often associated with the condition. Studies have shown cannabis can help repair the brain’s ability to send clear signals, thus improve behavior and communication. Studies have shown cannabis can boost bone density and assist in healing. Studies have shown cannabis boosts appetite and increases body weight and energy levels. Studies have shown cannabis has the capability of helping cancer patients manage the nausea, pain and weight loss related to cancer treatments, and even limit the growth or kill cancer cells. Studies have shown cannabis can protect against hypertension, stroke, atherosclerosis and heart attacks by causing blood vessels to vasodilate (relax and widen). Studies have shown cannabis provides neuroprotective effects. Studies have shown cannabis is highly effective at lowering all types of pain, including the pain that’s shown to be resistant to other treatments. Studies show that a cannabinoid found in cannabis can help combat the progression of cirrhosis and other liver disorders. Studies have shown cannabis has antidepressant-like effects. Studies have shown cannabis reduces the risk of diabetes, can help treat diabetes once its developed, and assists in the management of pain associated with the disease. Studies have shown cannabis can reduce dystonic movements. Studies have shown cannabis improves sleep. Studies have shown a major cannabinoid found in cannabis is effective at significantly decreasing the frequency of seizures and has the potential of offering complete seizure freedom. Studies have shown cannabis effectively lowers pain levels and improves quality of sleep in patients. Studies have shown cannabis can help manage pain associated with the disorder. Studies have shown cannabis decreases intraocular pressure. 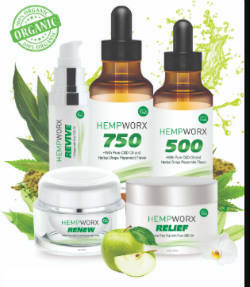 Studies have shown cannabis shows potential as an anti-inflammatory treatment and helps patients manage symptoms associated with the virus. Studies have shown cannabis reduces withdrawal symptoms and therefore can be used in the early treatment for addiction. Studies have shown cannabis helps make side effects of HIV/AIDS treatment more manageable. Studies have shown that cannabis helps improve the secondary symptoms associated with the condition. Studies have shown cannabis is effective at decreasing digestive tract inflammation and in some cases can help patients achieve long-term remission. Studies have shown cannabis stimulates leukemia cell death and assists in the management of symptoms associated with cancer and traditional cancer treatments. Studies have shown cannabis reduces inflammation and pain caused by the disease. Studies have shown cannabis reduces pain caused by migraines. Studies have shown cannabis is effective at helping patients manage symptoms associated with the disease. Studies have shown cannabis reduces pain and muscle spasms associated with multiple sclerosis and helps slow the disease’s progression. Studies have shown cannabis helps reduce pain and involuntary muscle contractions. Studies have shown cannabis can reduce pain and lower the risk and progression of glaucoma and kidney disease, which can develop from nail-patella syndrome. Studies have shown cannabis helps curtail nausea once it’s developed and helps reduce anticipatory nausea. Studies have shown cannabis has neuro-protective benefits and helps reduce pain associated with the disorders. Studies have shown cannabis can produce weight loss. Studies have shown cannabis reduces ocular toxicity and can protect the retina from degeneration damage. Studies have shown cannabis reduces the progression of Parkinson’s disease and helps manage associated symptoms. Studies have shown cannabis can lessen the emotional impact of traumatic events, reduce anxiety and fear, and improve sleep. Studies have shown cannabis can reduce inflammation and thus potentially help treat arthritis. Studies have shown cannabis lowers pain caused by the disorder and helps maintain proper blood flow. Studies have shown cannabis effectively reduces the frequency and intensity of spasms. Studies have shown cannabis helps patients manage spasms, seizures and pain. Studies have shown cannabis improves pain, sleep, and spasms that arise. Studies have shown cannabis can limit neurological damage when administered shortly after the moment of trauma and later help manage pain and spasms. Studies have shown cannabis can help reduce pain, sleeping problems and spasms associated with the condition. Studies have shown cannabis can limit brain damage and improves recovery when administered shortly after a stroke. Studies have shown cannabis can safely reduce the frequency of tics. Studies have shown cannabis can limit brain damage and improves recovery when it’s administered shortly after the traumatic blow. Studies have shown cannabis has demonstrated antitumor effects. Kalant, H., and Porath-Waller, A.J. (2014). Clearing the smoke on cannabis: medical use of cannabis and cannabinoids. Canadian Centre on Substance Abuse. Retrieved from http://www.ccsa.ca/…/CCSA-Medical-Use-of-Cannabis-2012-en.p…. Cannabinoids Research. (2015). Americans For Safe Access. Retrieved from http://www.safeaccessnow.org/medical_cannabis_research_what…. Russo, E.B., Mead, A.P., and Sulak, D. (2015, April). Current Status and Future of Cannabis Research. Clinical Researcher. Retrieved from http://cannabisclinicians.org/…/Russo-et-al-Current-status-….